3D Printing - Galaxy 61, Inc.
We have begun to experiment with 3D printing, a natural extension of 3D modeling back into the real world. 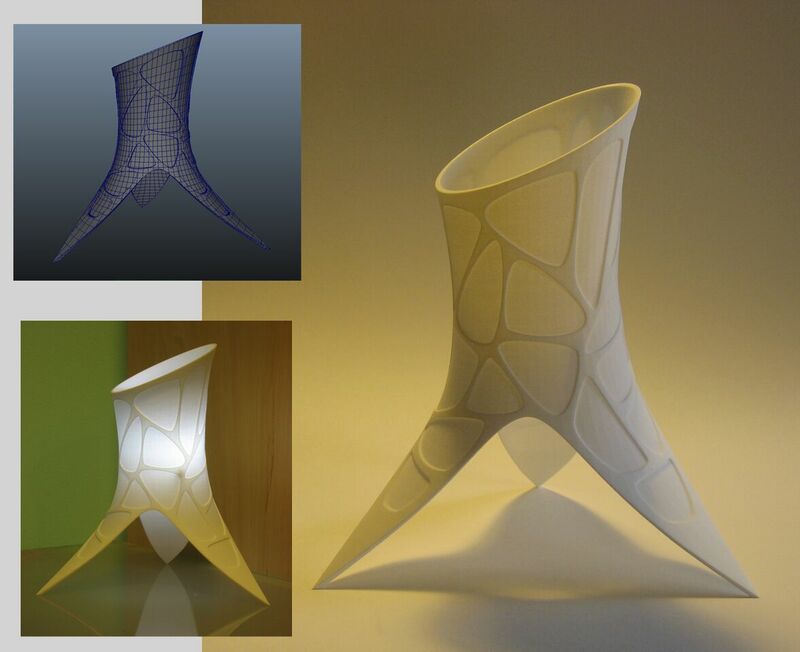 The first print out of the gate is the Polynesian Paramecium lamp. It was modeled in Maya and uploaded toShapeways, and came in the mail 2 weeks later.